Not-so-silent: @GameTeamOne talks Jay & Silent Bob — Welcome to the GameSalad forum! Hi everyone, it's Billy Garretsen of @GameTeamOne. It has been a long time since I have posted anything on the GameSalad site and it has been because Game Team One has been really REALLY busy lately. You may or may not have heard, but over the Comic Con weekend we launched Ice Cap Games and not one but two new iOS apps featuring the hilarious duo Jay & Silent Bob: Too Fat to Fly and LET US DANCE! I think its a really awesome story how the Jay & Silent Bob games came together. Not too long ago, our really good friends at Powerhouse Animation were approached by SModCo to help launch their new gaming initiative, SMarcade. They got a hold of me to see if we would be interested to handle the development side of things (to which I said SH** YEAH!). We did not have a whole lot of time so we needed to go with smaller games and we narrowed it down to a rhythm game and a flinging game not unlike Guitar Hero and Angry Birds respectively. Game Team One went work with only a few weeks until the Comic Con launch window. I have previous experience with rhythm and music games so I got to work building out that engine. Jonathan Samn (AKA @CodeMonkey) really showed his skill by knocking out the flying game engine in a matter of days which got us into prototyping and fine tuning the game play very very quickly. Chris Kokkinos (AKA @GreekSalad), with experience and an ear for sound, focused on making sure our sound libraries were built out with entertaining effects and music. The clock was running out and our deadline fast approaching. I managed to convince the team to do an all-week sleepover at Casa Garretsen to finish the game in time to hit the app store for the start of Comic Con. Gallons of coffee later we hit our deadlines with a whole week to spare! Talk about faaaast! 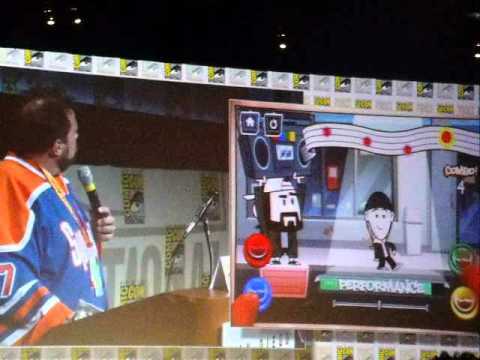 The plan was to announce the games during the Kevin Smith Q&A at Comic Con, so I flew out to San Diego to attend. 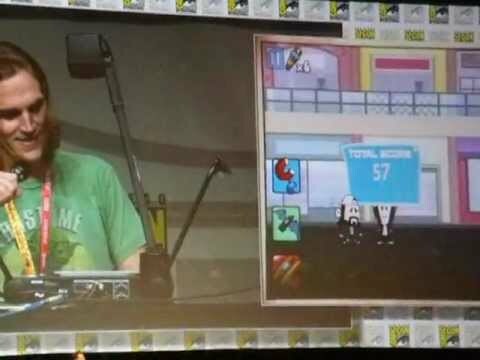 Little did we know or expect, Jason Mewes got up in front of the entire Hall H crowd and demoed the games on a 150 foot screen. Talk about a plug! The best part is he genuinely enjoyed playing them and was literally booted from the stage because he would not put the games down. That was a cool moment. The icing on the cake came after the Q&A when Frank Coppersmith and I were invited backstage to hang out with Kevin Smith and Jason Mewes. They both thanked us graciously for making this moment possible. This is the first time Jay & Silent Bob have ever been in a video game, thus marking a historical event for all Kevin Smith fans. VIDEOS MAY BE NSFW. Viewer Discretion is Advised due to some colorful commentary by Jay & Silent Bob. So now we are back home, the glaze of the convention washed off. It was a really intense development but still fun experience getting these games out the door. I never miss a chance to collaborate with the talented Powerhouse Animation and there really is no brand quite like SModCo. The unique combination of elements really made these games special and I hope it shows in the final products. I do encourage everyone to show their support for Game Team One and Powerhouse Animation by downloading Too Fat To Fly and LET US DANCE! for your iDevices. Most importantly, please help us by leaving a review for the game - even if it is only a few words. This will ensure players will give the games the attention they deserve. We had tons of fun making them and I hope you have tons of fun playing them. Keep an eye out for more great things to come from Game Team One in the coming weeks! Wow, both of these games look fantastic guys! I will be sure to leave an excellent rating / review! Looking forward to what the future holds for Game Team One! Great job all of you! Love the game! These games look awesome!! I love Jay and Silent Bob! Pretty Awesome how excited he was to show off the games. Not to mention hilarious. Been a long time Kevin Smith fan. That's cool that GS/GT1 got the opportunity to do this. And finished a week early at that. Very impressive! Fabulous Job!, Left a 5 star rating from Ireland, One of my favorite games with the GS engine is now to fat to fly! Yay! Great job! Great demo, not to mention the great app. Looks great guys! Will pick one up tonight! Thank you for all the support! What a great community. 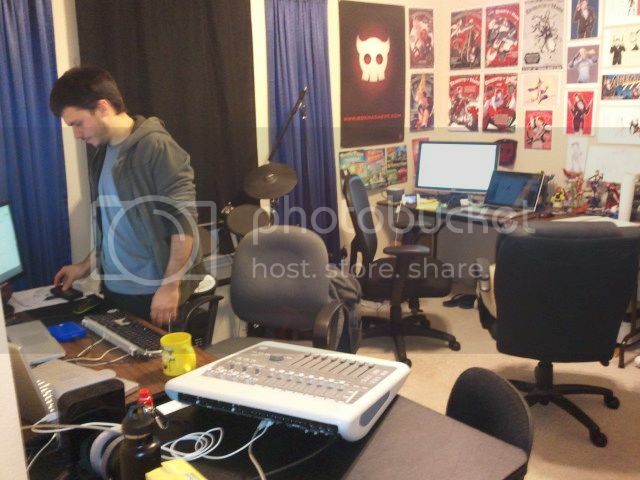 We have to show the world just how awesome we can make games on the GameSalad platform. Just got around to playing "Too fat to fly"
Really nice, polished game chaps. Well done. A couple of things I -don't- like about it tho. 2. I wish pressing the pause button didn't waste a firework. Does "post score" post the current score that's being displayed? Or does it post the hi-score for that level? 3. is that retina dispaly text for the numbers?, they look pretty generic compared to the rest of the fonts/art so wondered.